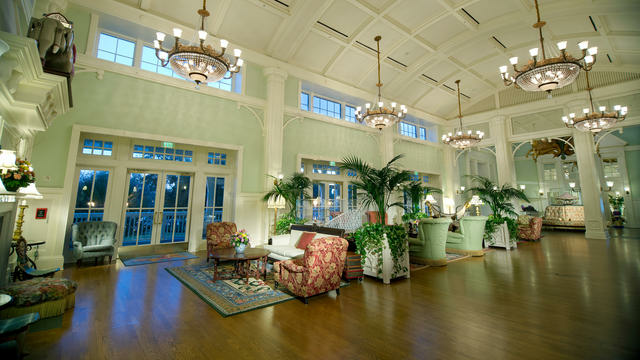 Disney's BoardWalk Villas capture the charm, whimsy and elegance of turn-of-the-century Atlantic City. 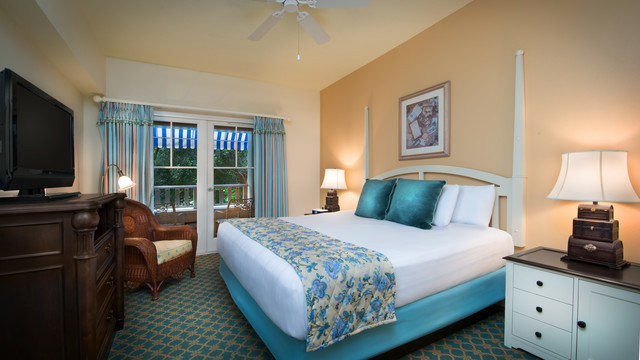 These Villas, along with adjacent hotel Disney's Boardwalk Inn, put Guests in a prime location to enjoy the carnival sights and ragtime sounds of the BoardWalk, along with the glittering waters and recreation of Crescent Lake. Discover the many delights of the 25-acre lake, including watercraft rentals and catch-and-release fishing. Experience more water fun riding the 200-foot-long Keister Coaster water slide at the Villa's circus-themed Luna Park Pool, or make a splash under the spouting trunks of grinning elephant statues. For a more tranquil swim, visit one of 2 quiet pools. Indoor fitness fun can be had at the Muscles & Bustles Health Club, featuring state-of-the-art exercise equipment, a sauna and rejuvenating massages. 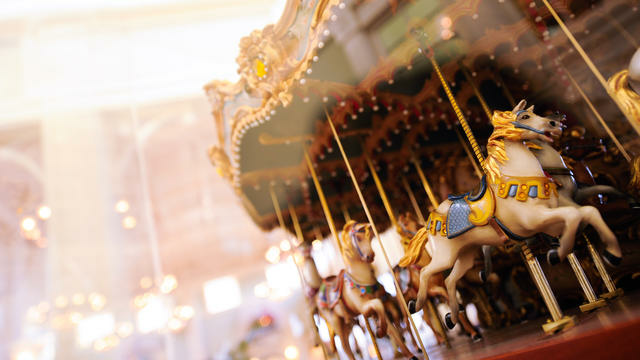 When night falls, take in the lively sights and sounds of midway games and performance artists all along the nearby quarter-mile, Coney Island-style BoardWalk. The illuminated BoardWalk is also a sizzling hotspot for dining, drinking and merriment. Savor celebrity chef Cat Cora's Mediterranean family recipes at Kouzzina, and enjoy award-winning beer brewed on the premises at Big River Grille & Brewing Works—the only working brewpub at Walt Disney World Resort. At the end of your day, retire in style to one of the romantic Studios or Villas—sweet cottages in pleasing hues of sea green, powder blue and white with delicate floral accents. 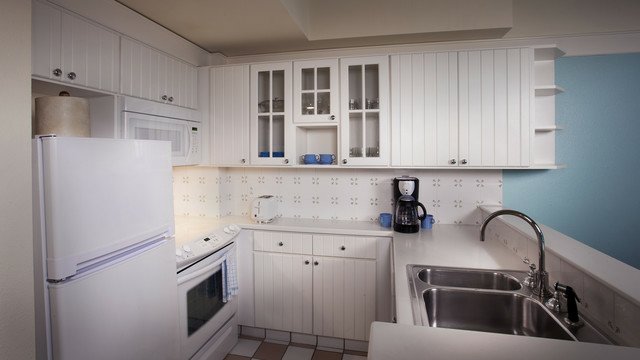 In addition to all the entertainment of Disney's BoardWalk and Crescent Lake, there's a 24-hour playground, a high-tech game room, bike rentals and tennis. Community Hall offers board games, arts and crafts and more. The conference center has more than 20,000 square feet of flexible meeting and function space, featuring high-speed Internet connectivity, booth-controlled A/V and lighting, state-of-the-art sound systems, satellite up/down link capabilities and much more. The business center, located in the conference center, provides fax, photo copy, mail and computer services, including Internet access (additional fee applies) for Resort Guests. If you are planning a meeting, please call (321) 939-7129. Guests under age 18 must have parent or guardian permission to call. 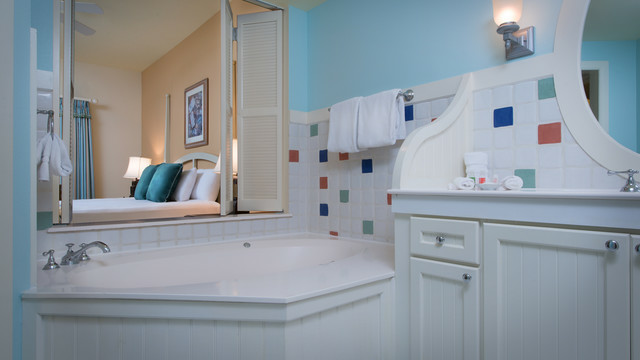 Disney's BoardWalk Villas is located near Epcot theme park, Disney's Hollywood Studios theme park and Disney's BoardWalk Area. It is a smoke-free Resort; smoking is permitted only in designated outdoor smoking locations. 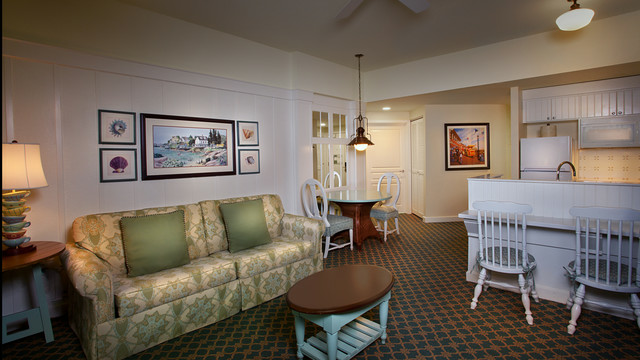 SEASIDE CHARM OF DAYS GONE BY The waterfront has never been quite so charming as in this relaxed, cottage atmosphere. Studios, one, two and three bedroom villas combine with the elegance of a bygone era, to recapture all the fun, excitement and timeless appeal of the coastal villages of the 1940's. The quaint, seaside mid-Atlantic feel is accentuated by all the shops, vendors and glittering excitement of the nearby boardwalk.